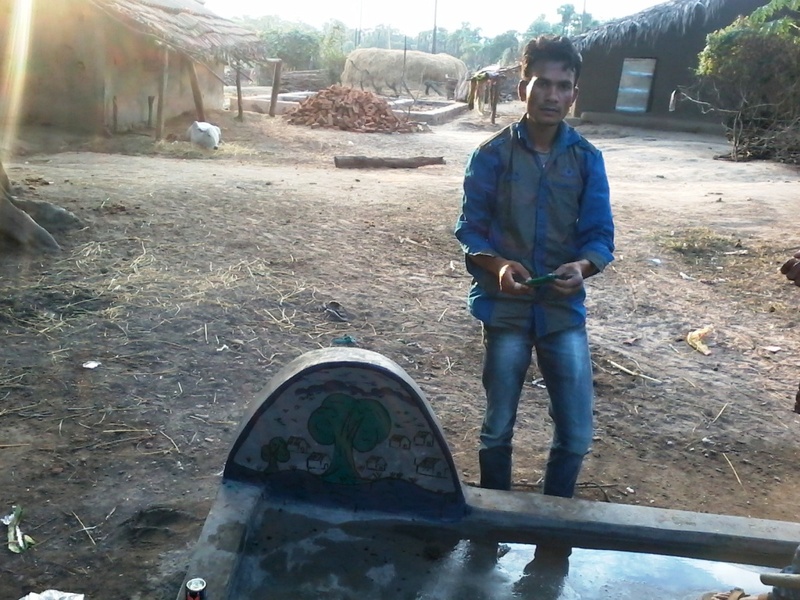 Before the well was dug, an 11 year old boy drew his dream of the water for his village. 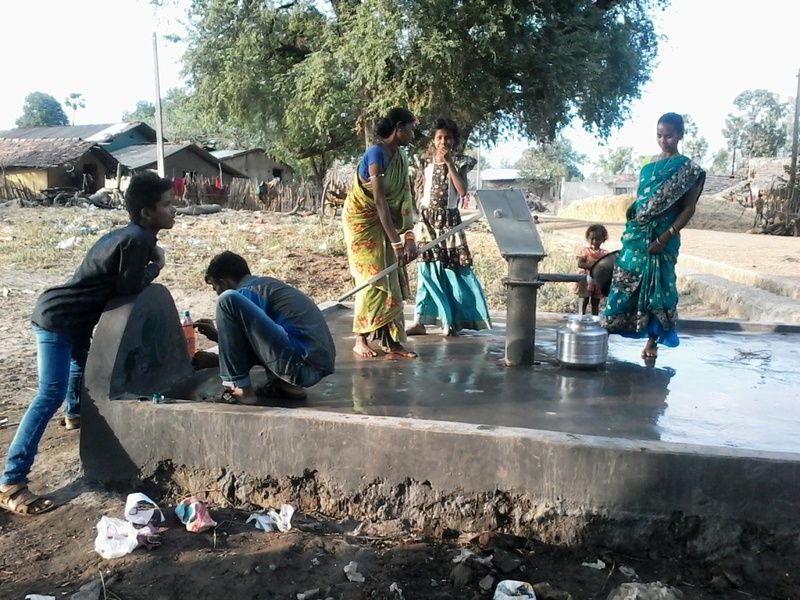 The water is flowing – what a joy! While the women are already busy pumping up that precious clean and fresh water, artist Prakash is still busy finishing his piece of art; a tree surrounded by a garden. This was the wish of the sponsor. 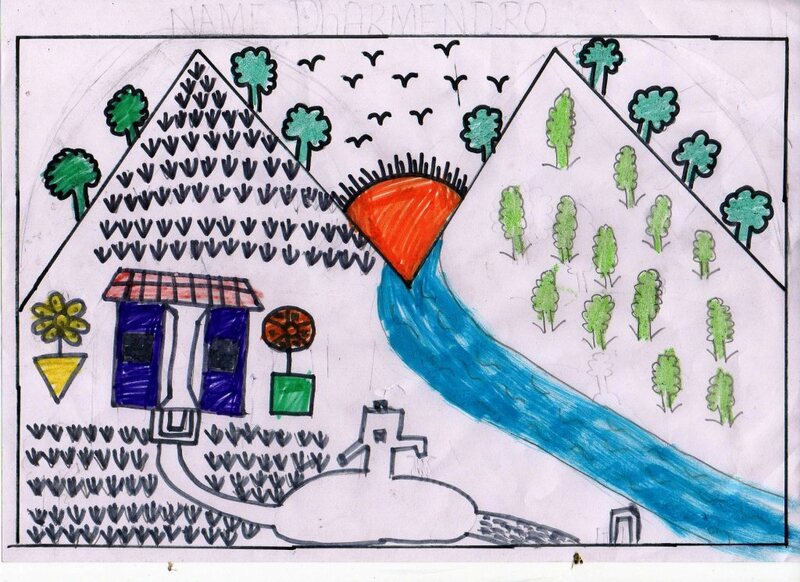 Artist Prakash, evidently proud of what he had just created, presents his piece of art. 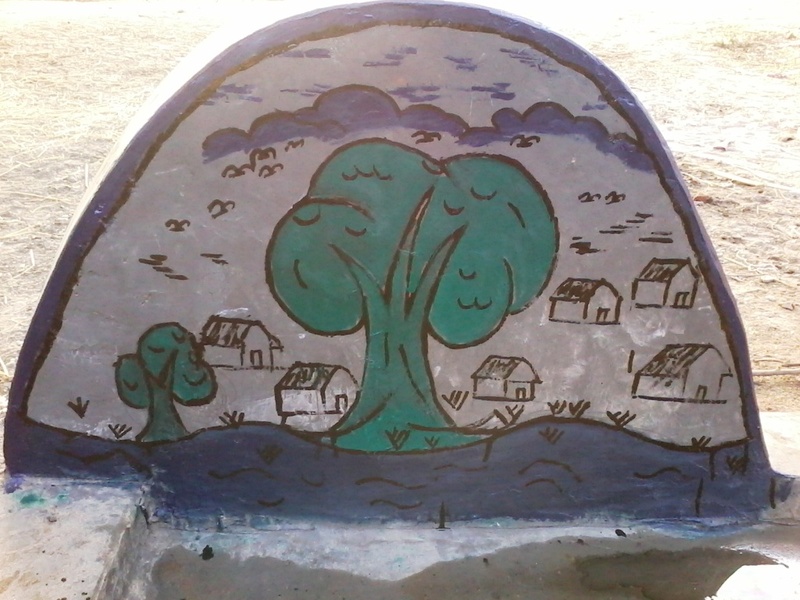 The memorial stone by artist Prakash.